Will the Child Victims Act pass Monday? 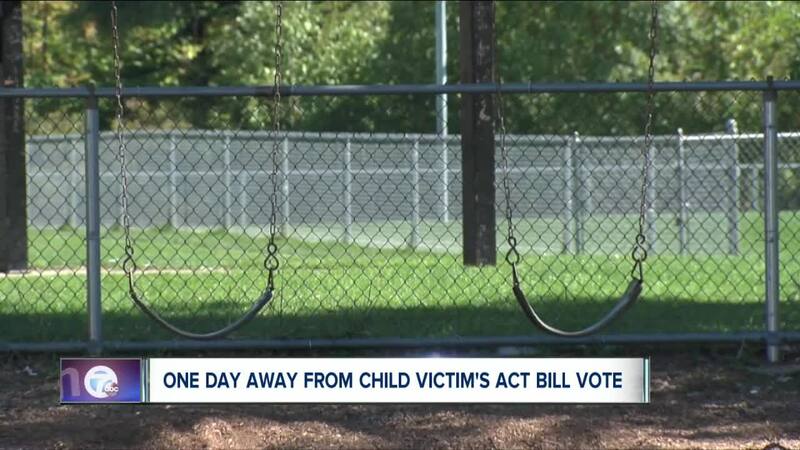 There is one day before the Child Victim's Act is voted on by state lawmakers vote on the bill. BUFFALO, N.Y. (WKBW) — It's been expected to pass ever since Democrats took control of the state legislature. The Child Victims Act (CVA) will be voted on Monday ; a bill that has been a long debated during years of a Republican-controlled senate. “Suing an institution for something that happened 34 years ago, I think there’s a concern that it would be hard to defend," Republican state Senator, Chris Jacobs, said when asked why might someone vote against the bill. However, Jacobs will be voting for the bill to pass Monday, saying that it's important for the victim's to get their day in court. The bill will allow for sexual abuse victims to file civil law suits until their 55 birthday, changing from the current age of 23. Local attorney for some 20 sexual abuse survivors, Steve Boyd, says the bill's passage is important given today's climate. If the bill passes, Governor Andrew Cuomo has 10 days to sign the bill into law.